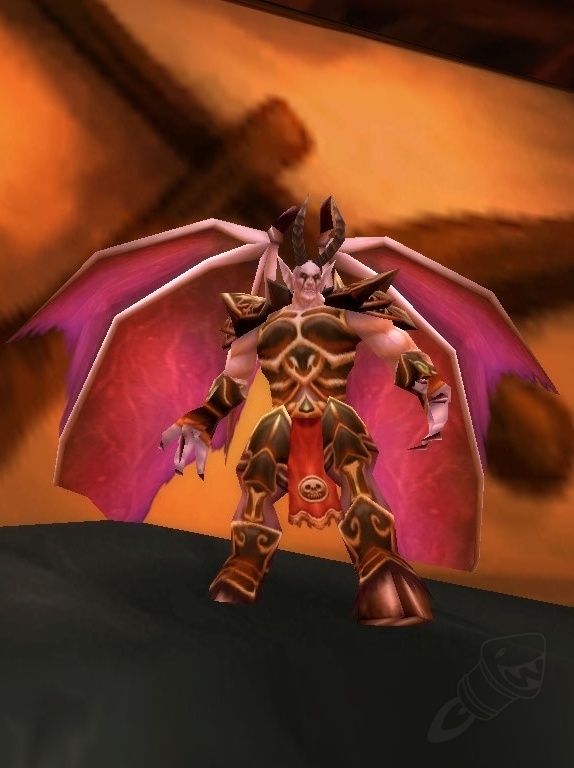 I recalled this item being datamined very early on in wow, good to see it back. It originally had added fire damage and some sort of proc about demons. Turns you into a demon when you equip it. Edit: Here is the spell that is triggered. Should therefore, upon equipping this item, increase your melee attack speed by 15%, and increase your critical chance by 15% while turning you into model 13083. That is the most fastest weapon in whole game. So it looks like this would have been a Legendary Dagger mainly aimed for Rogues and Hunters, and would have a chance on hit to transform you into a demon (possibly an image of Archimonde) with increased crit chance & attack speed. Possibly linked to the original plans for Mt Hyjal (pre-TBC) which, along with this dagger, were scrapped long ago.